Can I Recover Compensation for a Single-Car Accident in Salt Lake City? How Do I Respond to a Low Settlement Offer from an Insurance Company? How Does Comparative Negligence Work in Utah? Is It Possible to Sue a Government Agency for an Accident in Utah? What Are Economic Damages in Utah? What Are Non-Economic Damages in Utah? Will I Need to Go to Court for My Personal Injury Claim? While the number of ways that people can be injured in accidents is almost as varied as the types of accidents themselves, broken and fractured bones are easily some of the most common injuries that occur. 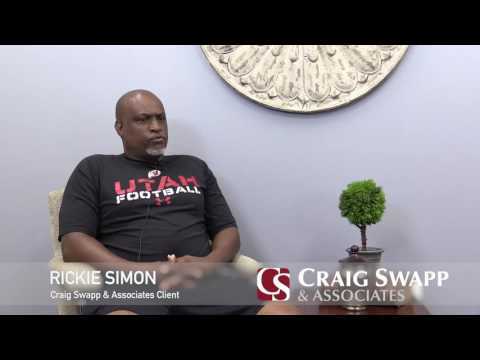 If you have been hurt in this way thanks to someone else’s negligence, a Salt Lake City broken bone lawyer from Craig Swapp & Associates can help you recover the financial compensation you deserve. How your bone was broken will directly influence the recovery process, and the extent of the damage will determine whether you suffer a long-term disability. Likewise, your financial compensation will be heavily based on these factors. Your Salt Lake City broken bone lawyer will work with your doctor to determine how long it will take you to recover, what medical care will be required, and if the break has caused any long-term damage. This will help us calculate the value of your personal injury claim. Non-Displaced Fractures – This type of break is where the bone separates, but both parts remain in alignment with each other. Displaced Fractures – In a displaced fracture, the two piece of bone will move in opposite directions. To bring them back together, surgery is often required, and pins may be used to hold the bone in place again. Typically, the worst type of break is an open displaced fracture. However, all breaks caused by another person’s negligence warrant hiring a Salt Lake City broken bone lawyer to file a lawsuit on your behalf. Before you can file a personal injury lawsuit, we must determine who was to blame for your accident. You can sue an individual, company, or government entity—anyone that was negligent and therefore responsible for your injury. We may also conduct depositions to ask the other party questions while under oath. This allows us to uncover details regarding their driving and criminal history, property maintenance, and other details that could be helpful to your case. To determine what your injury claim is worth, we will evaluate all of the ways that your life has been impacted. The more information you can provide us with, the better. For example, are you no longer able to play sports or run where this used to be a daily activity? Do you have difficulty climbing stairs, sitting at your desk, or carrying your children? These small nuances can make a significant impact on your quality of life and must be considered when assessing the value of your claim. We will also speak with your doctor to determine what your prognosis is and include any future expenses or losses in our calculations. To protect your legal and financial interests, you should hire a Salt Lake City broken bone lawyer right away. We can ensure that your rights are protected and that you receive as much compensation as possible for your injuries. Once a lawsuit is filed, there are still opportunities to settle your claim out of court. If the other party makes a settlement offer, we will evaluate it and advise you on whether to accept or reject it. If the offer is not enough, we will proceed to court and seek financial compensation through a court-rendered verdict. You should not have to suffer financially while also recovering from an injury. A Salt Lake City broken bone lawyer from Craig Swapp & Associates can file a lawsuit on your behalf and help you recover as much money as possible for your broken bone and other injuries. You can schedule an appointment to discuss your case with our firm free of charge by either calling 1-800-404-9000 or completing the contact form below.